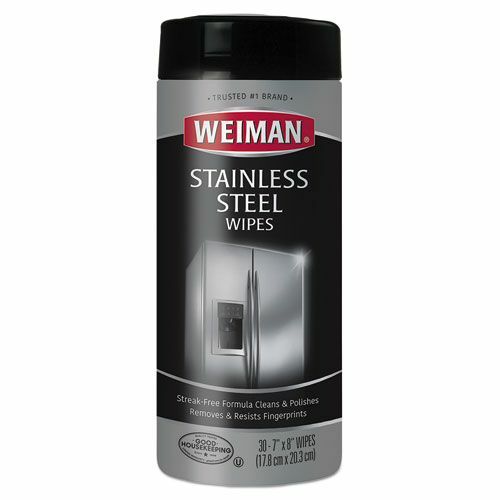 Weiman Stainless Steel Wipes, 7 x 8, 30/Canister, 4 Canisters/Carton. Sold by the carton. 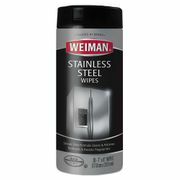 •Convenient way to quickly and easily clean, shine and protect stainless steel appliances. •Designed to resist fingerprints, water marks, and grease, while repelling dust and dirt. 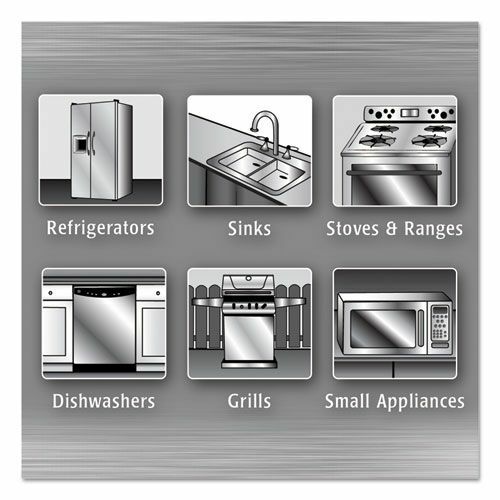 •Excellent for cleaning all types of stainless steel such as refrigerators, stoves, dishwashers, range hoods, sinks and other kitchen appliances.